Is Single-Incision Laparoscopic Cholecystectomy Really Beneficial? 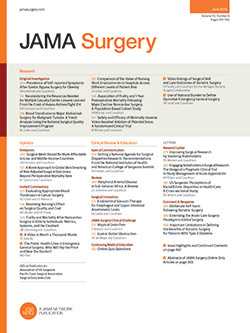 In the quest for an even less invasive surgical technique, and perhaps emerging as a better substitute to natural orifice transluminal endoscopic surgery, single-incision laparoscopic surgery (SILS), also known as laparaoendoscopic single-site or single-port access surgery, has grown rapidly in popularity among surgeons during the past few years. The sudden increase in the number of publications on this subject is testament to this. A substantial proportion of these articles relate to gallbladder surgery, which is probably the most suitable approach to study as it can be easily compared with the well-standardized laparoscopic cholecystectomy (LC). Navarra et al1 were the first to describe single-incision laparoscopic cholecystectomy (SILC) in 1997 and since then, several recent large series have shown that this procedure could be performed safely with satisfactory outcome.2-5 However, what benefit does SILC really offer over the gold-standard multiport LC?